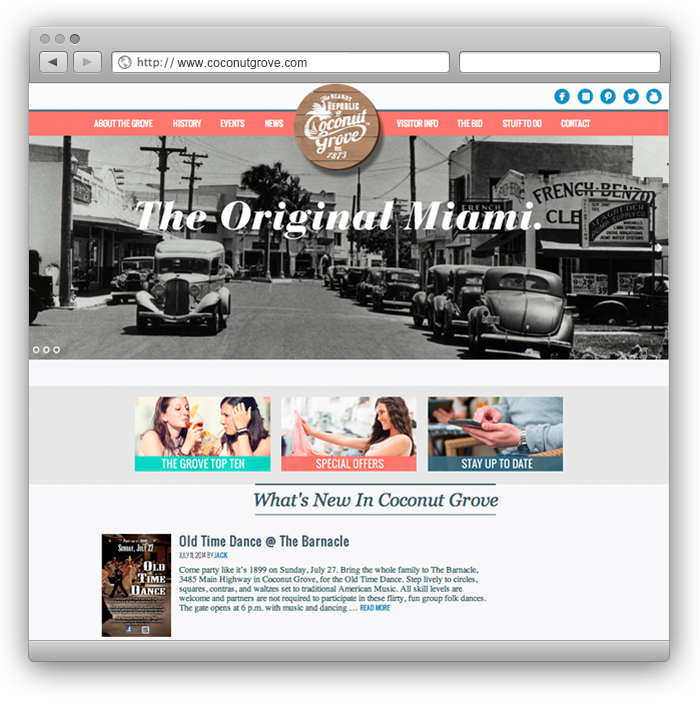 Designed coconutgrove.com, the hub for all things Coconut Grove. 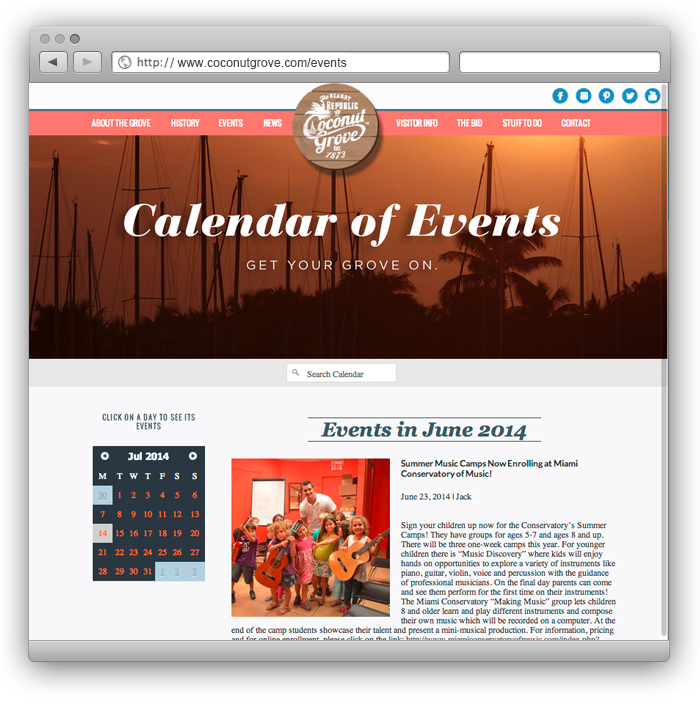 Responsive site includes, local business and restaurant directory, interactive map, blog, and dynamic event calendar. 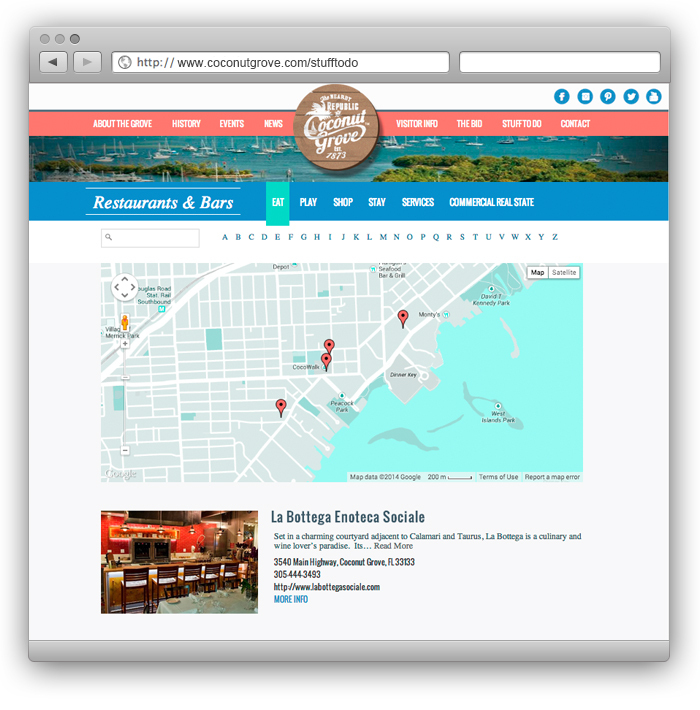 View the entire project here.